Another aspect of a modern system is the collection of system programs. At the lowest level is hardware. Next is the operating system, then the system programs, and finally the application programs. System programs provide a convenient environment for program development and execution. Some of them are simply user interfaces to system calls; others are considerably more complex. • File management. These programs create, delete, copy, rename, print, dump, list, and generally manipulate files and directories. • Status information. Some programs simply ask the system for the date, time, amount of available memory or disk space, number of users, or similar status information. Others are more complex, providing detailed performance, logging, and debugging information. Typically, these programs format and print the output to the terminal or other output devices or files or display it in a window of the GUI. Some systems also support a registry, which is used to store and retrieve configuration information. • File modification. Several text editors may be available to create and modify the content of files stored on disk or other storage devices. There may also be special commands to search contents of files or perform transformations of the text. • Programming-language support. 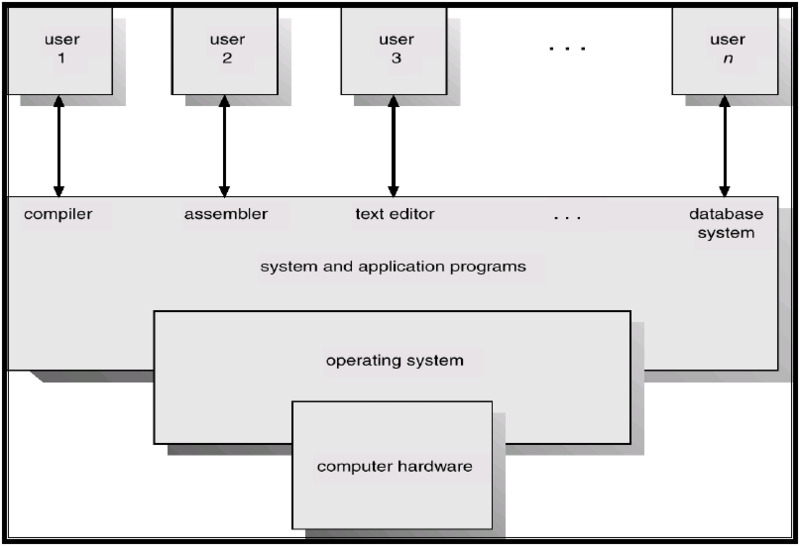 Compilers, assemblers, debuggers and interpreters for common programming languages (such as C, C++, Java, Visual Basic, and PERL) are often provided to the user with the operating system. • Program loading and execution. Once a program is assembled or compiled, it must be loaded into memory to be executed. The system may provide absolute loaders, relocatable loaders, linkage editors, and overlay loaders. Debugging systems for either higher-level languages or machine language are needed as well. • Communications. These programs provide the mechanism for creating virtual connections among processes, users, and computer systems. They allow users to send messages to one another's screens, to browse web pages, to send electronic-mail messages, to log in remotely, or to transfer files from one machine to another. In addition to systems programs, most operating systems are supplied with programs that are useful in solving common problems or performing common operations. Such programs include web browsers, word processors and text formatters, spreadsheets, database systems, compilers, plotting and statistical-analysis packages, and games. These programs are known as system utilities or application programs. The view of the operating system seen by most users is defined, by the application and system programs, rather than by the actual system calls. Consider PCs. When his computer is running the Mac OS X operating system, a user might see the GUI, featuring a mouse and windows interface. Alternatively, or even in one of the windows, he might have a command-line UNIX shell. Both use the same set of system calls, but the system calls look different and act in different ways.